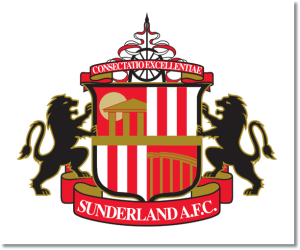 Premier League Preview for Sunderland v Manchester United along with Predictions for every result in the EPL. Follow up each match with results and video highlights posted later in the week. In the past predicting Manchester United matches was a pretty simple thing, but that has changed drastically this season. Sunderland come into Saturday’s game as the worst team in the league with one point from a draw against Southampton. In this time they have only managed to score four goals while allowing a league high 14. Manchester United are coming into this match needing a win. They are currently sitting in 12th place on only seven points. In this time they have scored eight and allowed eight as well as losing back to back matches (including last week’s match at Old Trafford). My prediction is for a Manchester United win. Sunderland have been poor all season and that has not all been the manager’s fault. It is possible that they will be rejuvenated by the sacking of Paulo Di Canio, but the team itself has not played well. Manchester United has not played well either, but they have a strong enough team to compete at the highest levels of competition and really should be putting this match down as three points. Anything other than a win will mean even more questions for the new manager.